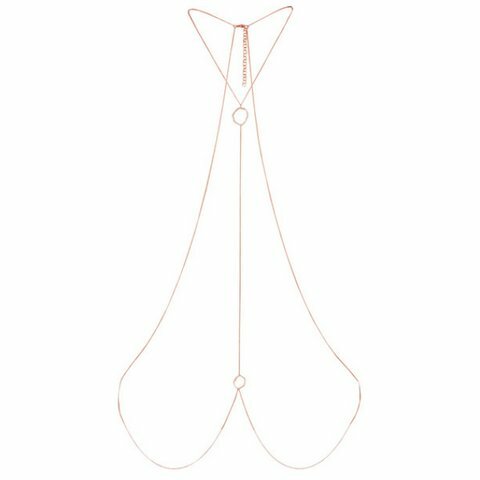 With temperatures dropping every day, now may feel an odd time to discuss the body chain, an item most commonly paired with a bikini at the height of summer. But with holiday-party season around the corner, not to mention winter vacations to tropical climes, it just may be the most versatile item in your accessory arsenal. Taking this look beyond the beach allows for even more room to experiment. 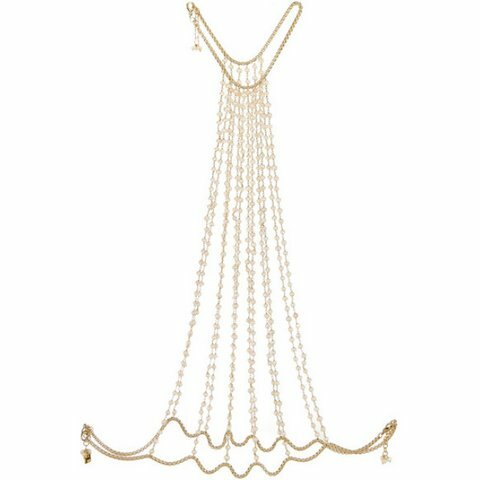 Harness-like, multi-strand body chains may be over the top when worn with your bikini, but done right, will add just the right touch of drama to any evening look. 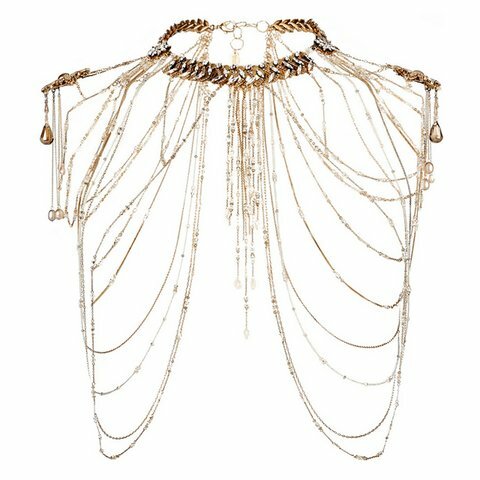 “Body chains are an edgy way to decorate your outfit,” says Vogue.com Accessories Editor Brooke Danielson. 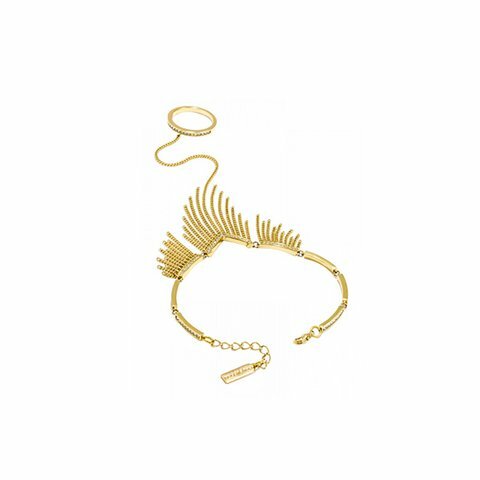 “From delicate chains to statement pieces, this is the accessory to try this season to spruce up a little cocktail dress. The key is to pay attention to the fit of your clothing and make sure that the silhouette complements the style of your body chain.” In other words, while we often let our clothes dictate our accessories, when it comes to body chains the opposite should be true. Choose something simple underneath, like the slip dresses worn with delicate body chains on Calvin Klein Collection’s Spring runway, and let your jewelry take center stage. Whether you choose a show-stopping multi-strand version or a fine, intricate design, body chains instantly up the enticement factor of any look: an ingeniously cool approach to party dressing this winter.